Babblings of a Mommy: Secrets To The Picture Perfect Braid! Secrets To The Picture Perfect Braid! I don't know about you, but I'm a sucker for braids! Sadly, I'm not much of a braid-maker though. I think it has to do with the amount of hair I have - it always feel like I'm trying to braid a horse's tail, rather then the hair on my head. So I decided to take this tip from Lauren Conrad, (the queen of boho braids), and her Beauty Department website. So, what's her secret tip? 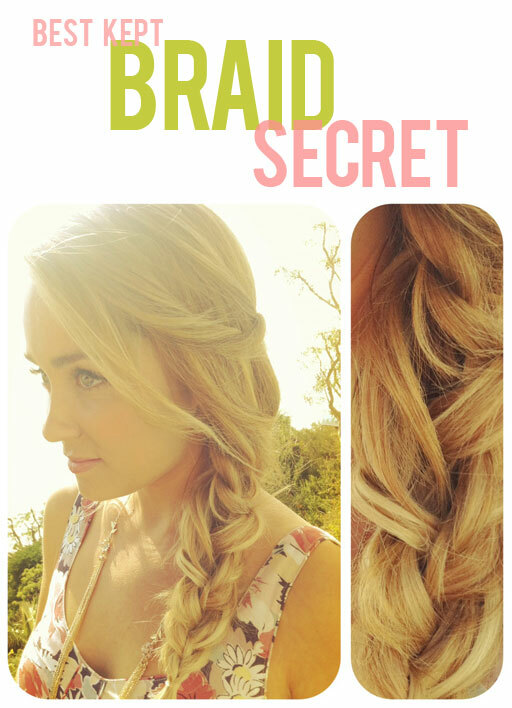 You braid one strand completely. Let it out a bit, and then braid your hair like normal! In other words, in a regular braid there are 3 strands, but here you braid the middle strand first, loosen it up a bit, and then braid your hair normally. It should leave your hair like pictured above. I doubt that my hair will look identical to her's, but I'm definitely going to give this a try next time I'm up for a braid! Do you have any braid secrets? Cute. She certainly knows how to make a messy braid look cute. I can braid, somewhat when my little girl let's me do her hair. I braid my daughter's hair too. So much easier than my own!